Welcome to Collingwood Farm’s first blog post! If you’d like our full story, check out the “About” page. So what’s happening on our farm this week? 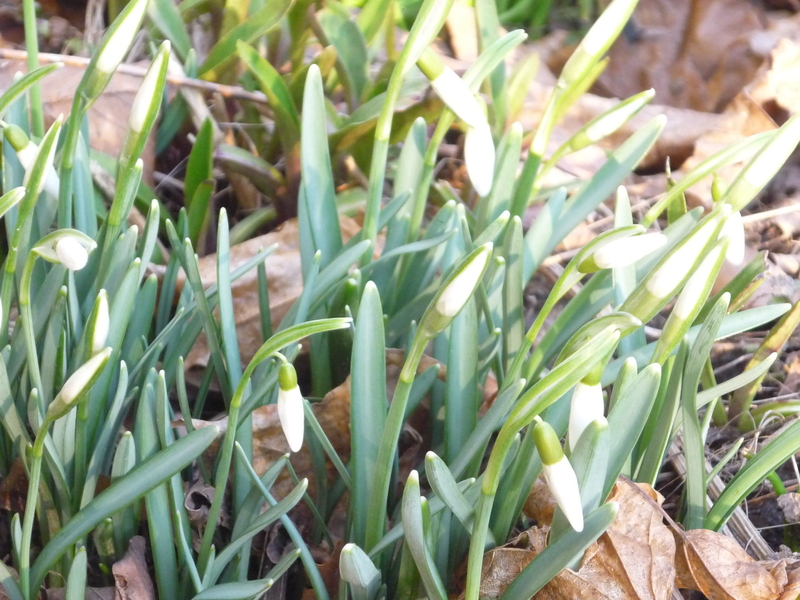 Well… it looks like Spring! 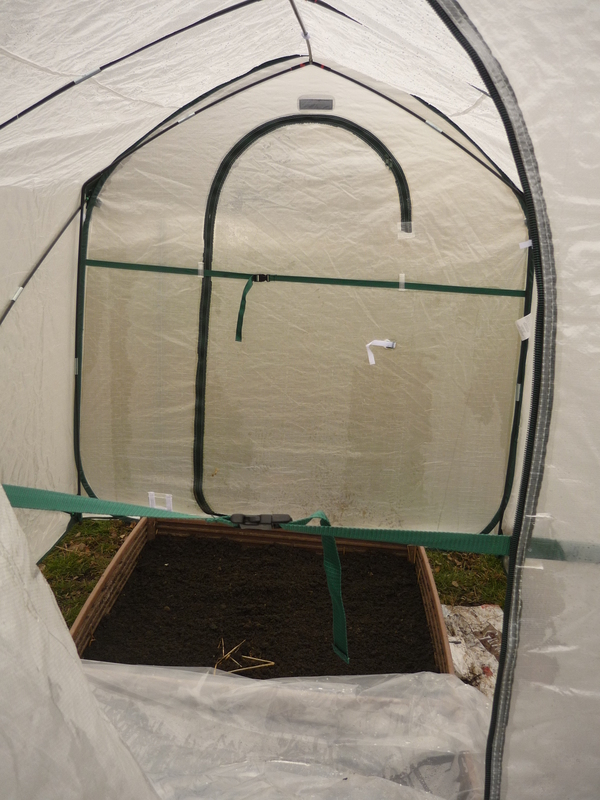 We’ve been trying to take advantage of the lovely weather by building cold frames, and putting up the portable greenhouse. 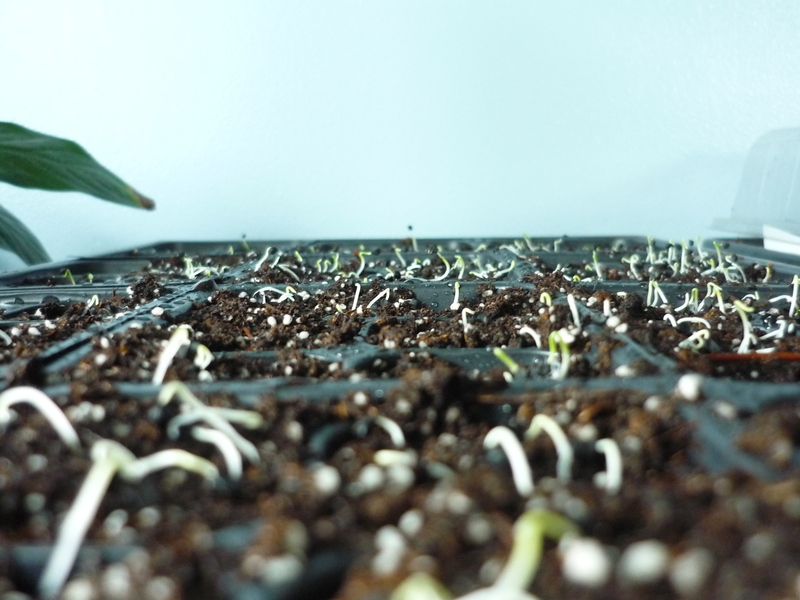 We also started quite a few seeds, including onions, greens, leeks, eggplant, tomatoes and peppers indoors. 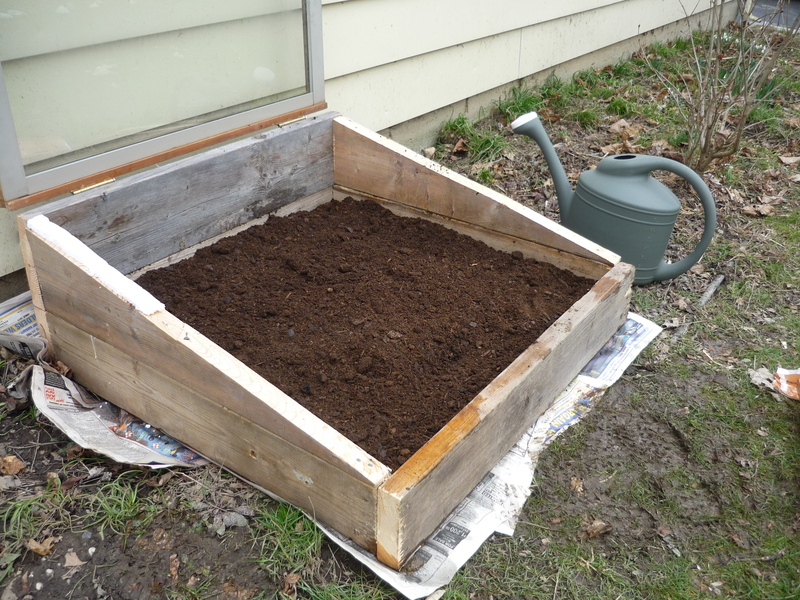 Normally, it would be a little early to start some of these veggies, but with the way the weather has been this winter, we don’t want to miss the opportunity to get some early vegetables! Our onions are already sprouting! We’d like to take a moment and thank our newly subscribed, and greatly supportive CSA members. We hope to provide you with bountiful fresh, tasty goodness that we’ve come to expect from our farm. Linde and Rich….what a wonderful thing you are able to do. I wish you the best of luck with your “FARM”. Really? how cool is that! GROW ON my friends! Hi Lin and Richy: I am so proud of you two! Everything looks awsome.